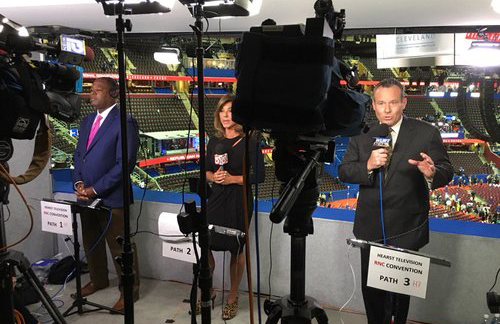 The Republican National Convention is now in the books and the networks are making their way East for the Democratic National Convention in Philadelphia. 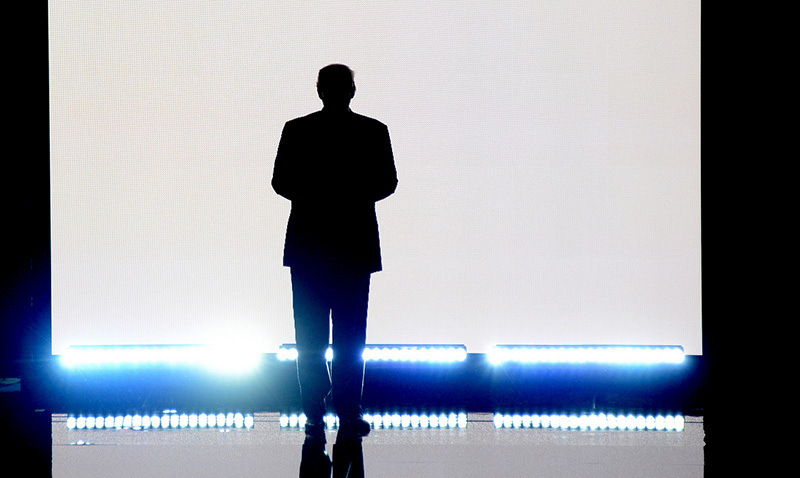 Donald J. Trump is now the official party nominee of the Republicans, and despite some technical difficulties, the show had all the twists and turns you’d expect from a reality TV show. From a dramatic entrance between the LED wall to a helicopter landing on the steps of the arena, Trump knows how to create a spectacle, and the networks took it all in. 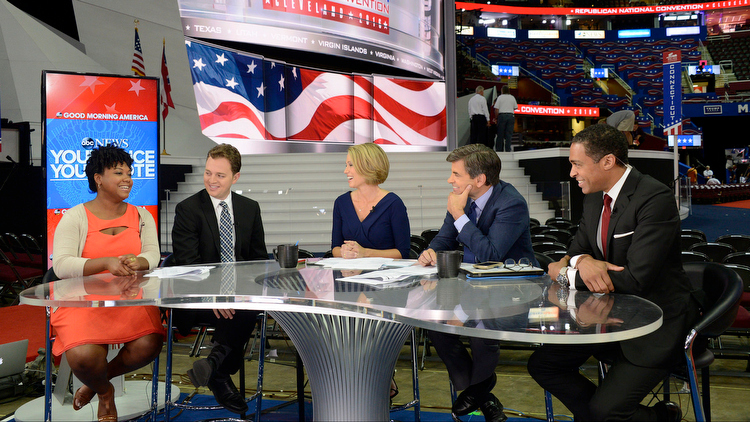 ABC utilized the floor and a skybox for its coverage, with “Good Morning America” taking over the floor, and the evening shows from the sky. 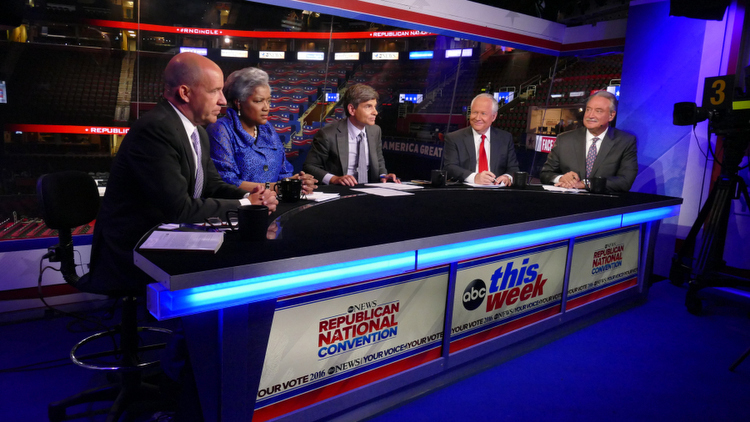 The Lighting Design Group provided lighting design for ABC’s various programs. The networks skybox featured a monitor fronted desk with space for multiple presenters and analysts. Bloomberg’s “With All Due Respect” borrowed a second floor space for its coverage, reusing some elements from its temporary set for the Iowa caucuses by Seth Easter Design. 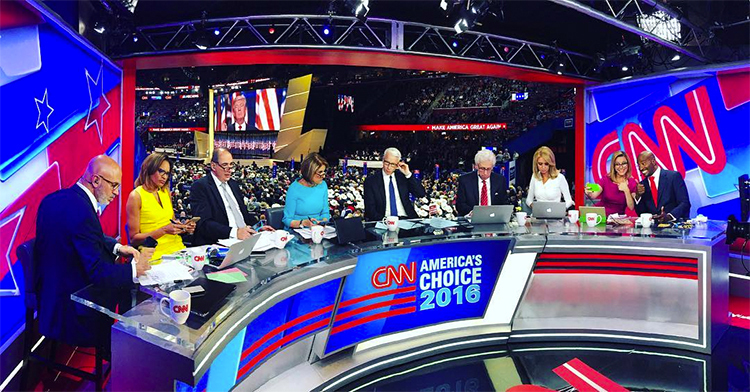 CNN had multiple positions in and around The Q; using its travel set outside, and a two-story skybox inside. 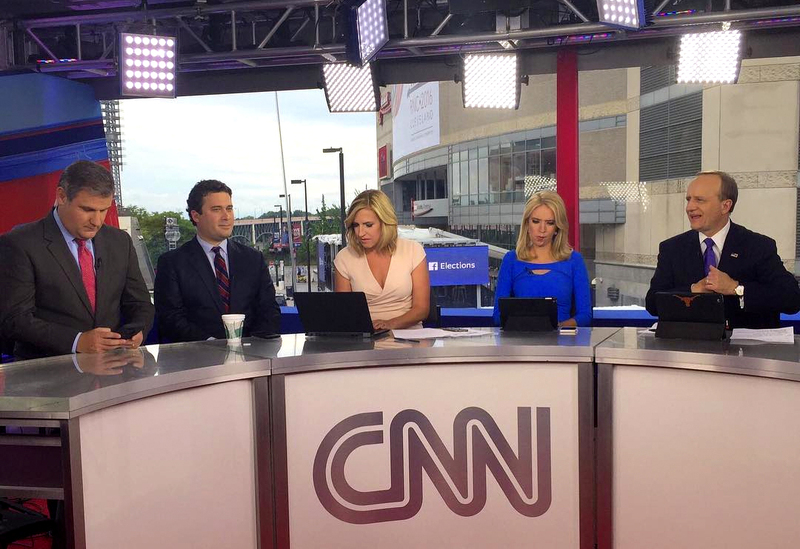 The network also setup the “CNN Grill,” which was used for some dayside and overnight coverage. Upstairs in the indoor studio, a large desk was present that matched the design style of CNN’s Washington, D.C. studio, seating up to nine. Clickspring Design worked to create the nine-seater, along with the desk located downstairs in their booth. 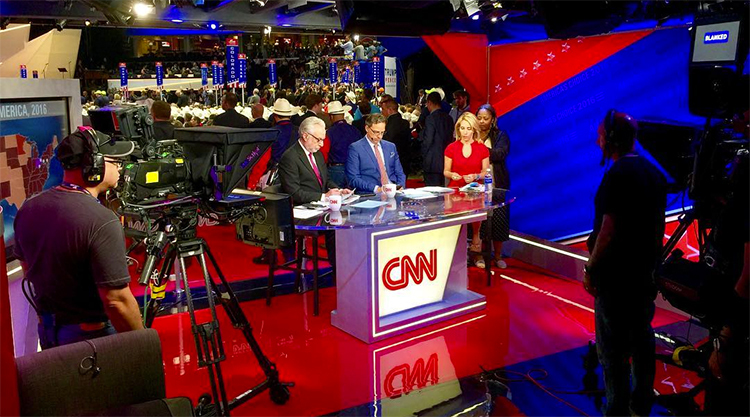 Downstairs, the location also included a “Magic Wall.” CNN’s internal team handled the lighting on the setups. Comedy Central’s “The Daily Show” brought its show to the convention, setting up at local high school. Here’s a look behind the design of the set, along with a gallery. 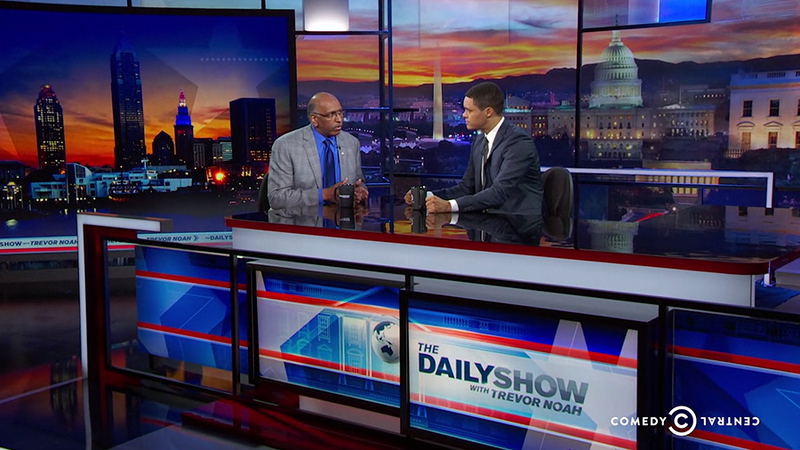 Next week, “The Daily Show” will have a duplicated setup for the DNC. Fox News turned a ballroom into its headquarters for the convention, complete with multiple sets located indoors and outdoors. The network also had a desk inside The Q, where primetime coverage was anchor from. 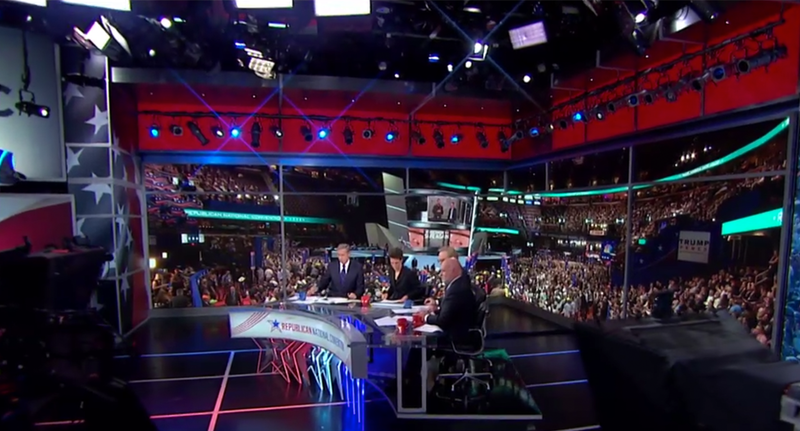 All of the setups, from Jack Morton PDG with lighting by The Lighting Design Group, built upon the design language established for Fox’s debate design, reusing some elements. Cleveland’s local stations created mini-studios at the Quicken Loans Arena, along with plenty of reporters on the ground. Additionally, many stations from across the country sent reporters to the event to use shared locations. 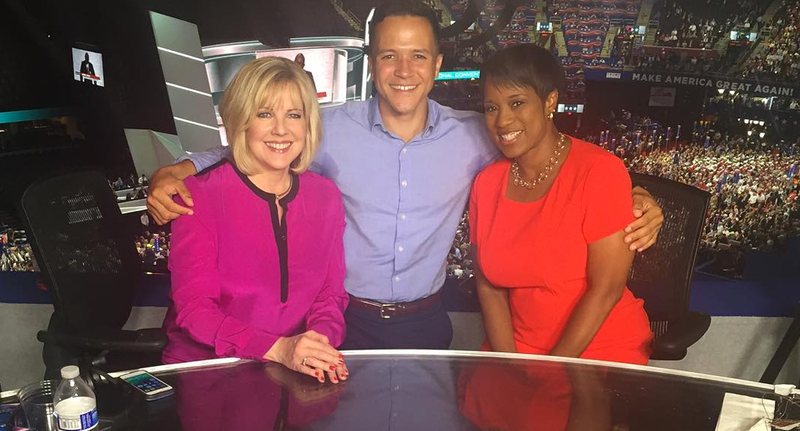 MSNBC anchored its convention coverage from New York City and a newly refreshed Studio 3A. 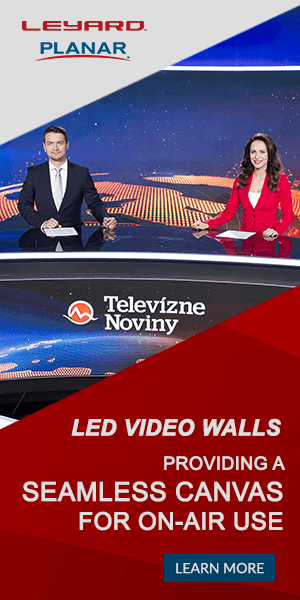 The updates, from Clickspring Design with fabrication by blackwalnut and lighting by The Lighting Design Group, include new LED walls from Leyard. 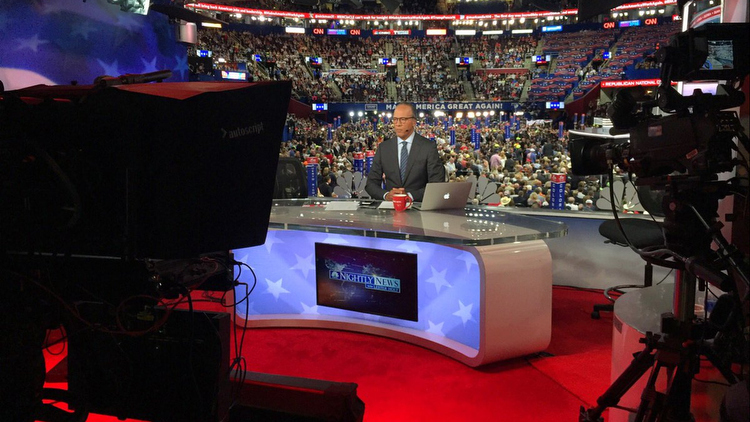 MSNBC and NBC News also shared two locations in and around the arena. 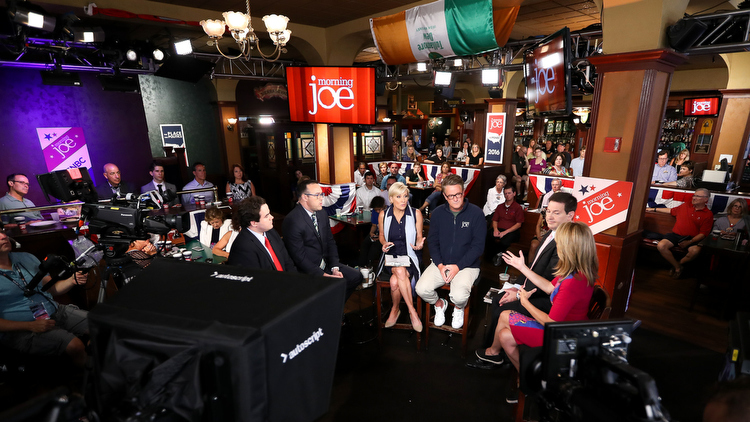 Dayside shows originated from East 4th Street, with “Morning Joe” at Flannery’s Irish Pub, while after hours came from the main NBC News set inside the arena. 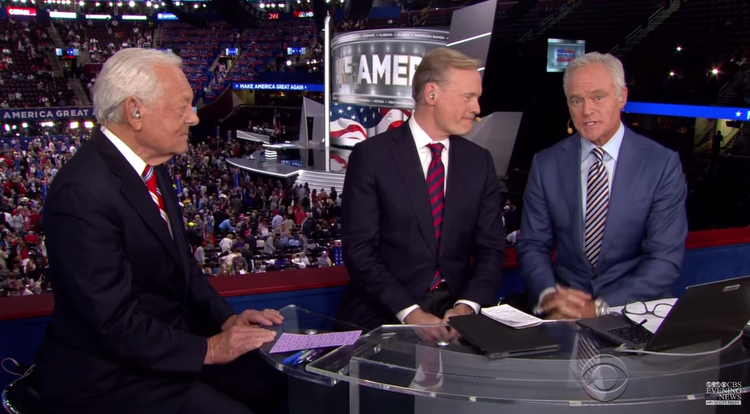 NBC News had a skybox inside the Quicken Loans Arena, using the networks traveling desk. 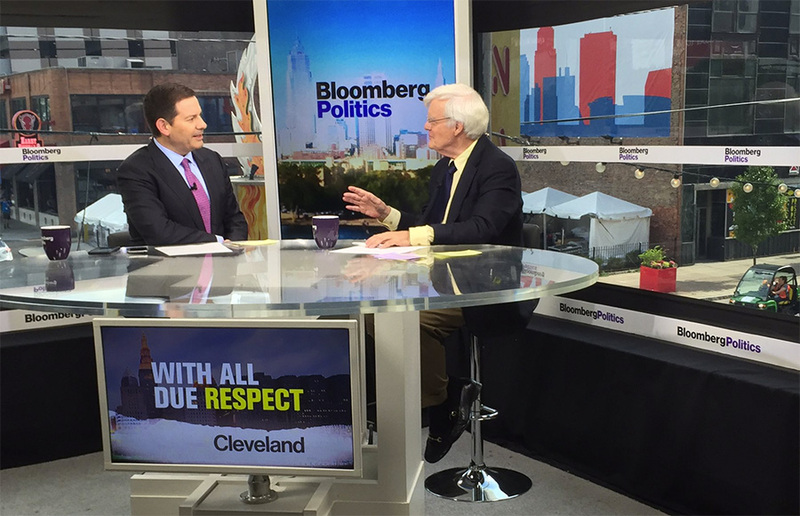 Jack Morton PDG provided updated graphics for the set with lighting by The Lighting Design Group. In the morning, “Today” used an outdoor studio on East 4th Street, which was shared with MSNBC. 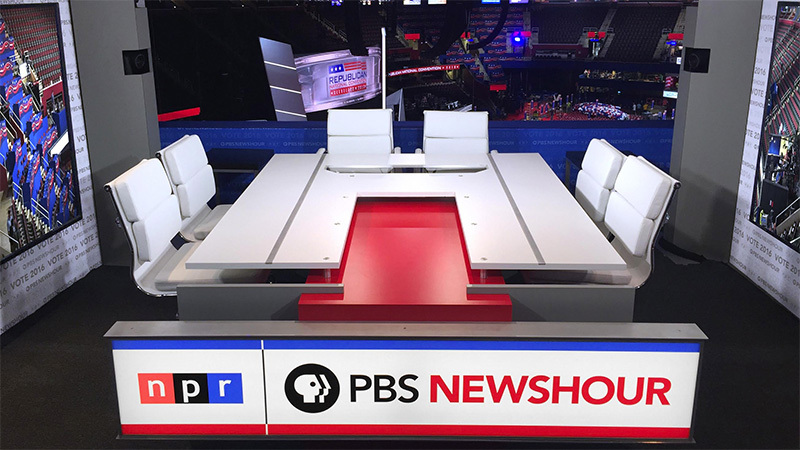 NPR and PBS teamed up for the convention, debuted a new desk that matches the main “PBS NewsHour” studio. Eric Siegel and George Allison worked with the network to create the new skybox, which also featured large monitors. Telemundo, Univision, Fusion and others also had smaller skybox setups in The Q to cover the events.